Following the post by Gazimoff and Pewter, I will also give my thoughts about The Annual Pass that I signed up to. I have to admit, I didn’t sign up immediately when they announced it at Blizzcon last year. 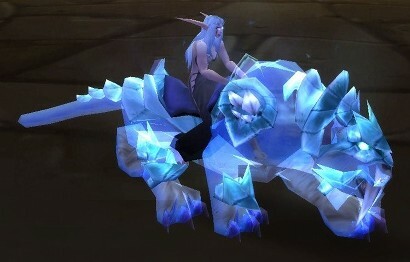 I was tempted, because everyone knows I’m a sucker for stuff like that (free mounts woot!). I knew that I was going to play Star Wars, but after talking it over with the husband, we agreed that I could afford playing two mmo’s for a while. When Swtor started though I wasn’t that interested in wow any longer and I felt a bit of buyers remorse. Was I ever going to really get into WoW again? Luckily for me, I stopped playing Swtor. Don’t get me wrong, I do love the game; the story is amazing and I love the immersion the game provides. Levelling though is horrible and I just can’t do it on any other alts. In other words: I returned to WoW and I’m actually quite happy running around, levelling new alts all to prepare for mists. I love getting into beta’s. It will give me a chance to check out the class changes in the game and see if I’d still like to play my class or if I want to switch it up. I am very curious what the monk class will be like and if it will be worth it to make it my main. I love it that I can play Diablo 3 when it comes out and I don’t have to go to a shop… I guess that feeds my laziness and I do like Tyreal’s charcer, even if it has short legs and remind me more of a pony. Now for the con’s: I am never a fan of long contracts, except perhaps for my marriage. I’m a very fickle person and a game I could love for a few months, could loose it’s shine in a few more. I especially notice this with mmo’s and signing up for a year to WoW was somehow a big step for me. In the end it’s working out alright. I am still enjoying WoW so far. I’m alright with paying for the things I’m getting; mount, beta, free game, then I see the new features for the Scroll of resurrection….and I’m not quite sure how I feel about this. 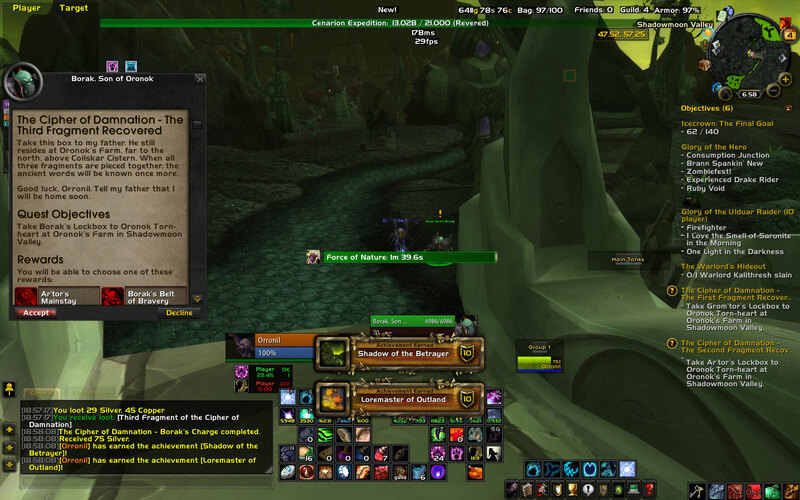 It’s great that people get a reward that pretty amazing for returning to wow and I am also happy that the person who sends out the scroll gets (yet another) mounts. Disk. I’m a collector of the CE’s and this one wasn’t going to be any different. I love this little tradition I made. 2. Did you experience any difficulties? IE: Login servers crashing, late delivery, etc? 3. What are you doing first? IE: Speed leveling to 85, rolling a new race, completely avoiding the new content, etc? I’ve rolled a new goblin warlock and I’m playing her from level 1. Taking my time and enjoying all the new things. I also rolled all the new toons I wanted to and when I’m done with my warlock I’ll level them. 4. Mt. Hyjal or Vash’jir? I’m not sure yet. I’ve heard different opinions and I’m leaning towards Vash’jir. I guess I love to see more about the world of the naga’s. Goblin, but I do love the worgen and their Gilneas too. I just have a weak for goblins. 6. Questing, dungeons or both? Mostly questing and now and again doing dungeons. I love what they did with the old instances. Except for gnomeregan. I don’t know what it is, but that one still drives me bonkers. 7. What was the first piece of gear you replaced and with what? None really, considering I’m starting from level 1. I do love the time Blizzard put into naming some simple pieces of gear that goblins get in their starting area. 8. Did you take any time off from work or school? I work for the mail and considering Christmas is their most hectic time I wasn’t allowed any time off. Because of that I hardly have levelled/played. It’s alright, I knew this was going to happen. Now I just stare at my computer at work and hope it will be replaced by wow on my screen soon. 9. Will you be keeping the same spec and main, or changing to a different toon? I do love my warlock, but I’ve also started liking my lowbie orc shaman. I don’t think I’ll be switching to my alliance druid any time soon. I’ve just played her too much and I want to stay horde from now on. 10. What’s been your favorite aspect of Cataclysm so far? That my old world is completely rebuild. It’s familiar yet also unfamiliar. The best thing however is goblins. I’m really loving her emotes and her looks.